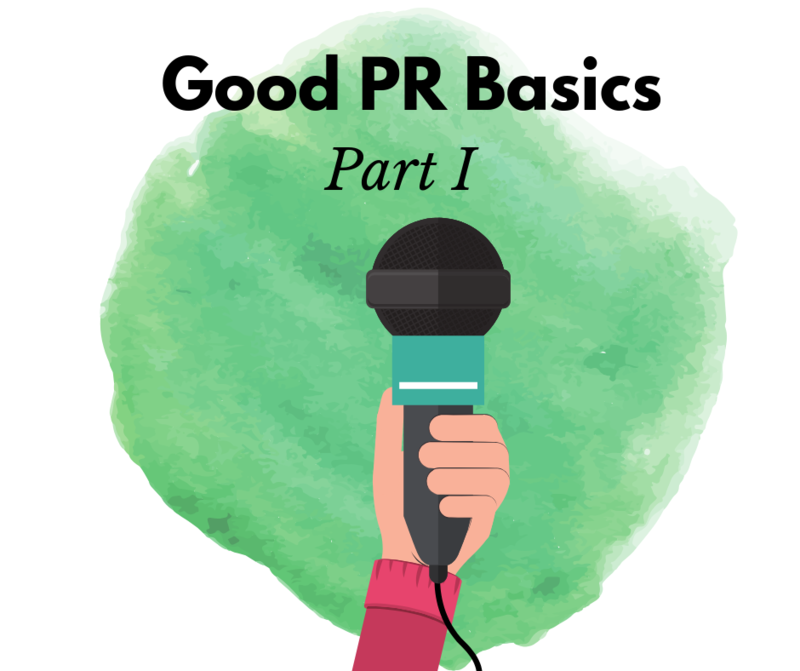 Good PR Basics: Part I — Lodi Live! Hello there, Do-Gooders! This article is the first of a three part series on using PR to share your good news. To introduce this I want to share why PR is my favorite way to spread good news. First, I want to be clear how I’m using the term “PR.” PR means public relations. Public relations includes a whole bunch of different facets, but for the sake of this conversation, I’m talking about working with the media to build a positive image for your company or cause and using the media to get that word out to the broader public. In other words, how to get media attention for the great work you’re doing. If incorporating PR into your strategy isn’t on your radar you’re missing out. Media outlets have to create ideas and content for thousands of stories each year and to do that they need help. They need the public to bring them stories and they need experts to weigh in on trends. This is where you come in. You can lend your news and your expertise to help them create content and find great new ideas to share with the public. Good PR is the best (and one of the most cost effective) way to reach new audiences. You don’t have to hire a PR agency to get started working with the media. Depending on your scope, getting your public relations going is actually a lot easier than you might think. Doesn’t it feel so official when you hear something through the media? Being covered by the media, whether it’s the radio, a podcast, newspaper, magazine or the daily news, media coverage has an air of importance to it. Media sites have a trusted relationship with their audience. They’re like old friends. They know one another and they know what to expect from one another. Viewers know what type of coverage they’re getting from their media source, and media sources know what type of topics and trends their viewers like. When you get good PR from one of these sources, that media site lends its credibility to you and your good work. It’s having a friend who always the best scoop on news and events and telling you about this great new event coming up. That event gets credibility in your eyes because you trust your friends taste. The legitimacy that comes from good PR is a huge help to your good work. Getting covered by the media helps with your branding. Have you heard of the rule of seven? The idea is that the more positive experiences consumers have with your brand, the more likely they are to remember you and think of you (supposedly the rule of seven is from the movie bigwigs of the 1930s who found consumers needed to hear their brand’s message at least seven times before audiences would go see their movies). This sounds simple but it’s actually really hard now days compared to the 1930s to get audiences to hear your message. In the 1930’s there weren’t literally thousands of ad messages being pushed at consumers 24/7. Consumers today have gotten really good at learning to ignore traditional marketing. So how can PR help you with branding? While consumers will ignore the ads, they will still look at stories. If the media is covering a story on your good work, consumers will be much more likely to look at it and see your brand’s message. Because good PR legitimizes your work or cause, it also helps others see you as an expert. It might sound trite, but it’s true: when we see people on TV, or in the paper, or hear them on a radio or podcast, talking about their cause, we associate them with being experts. Not everyone is on the news or featured in the media, so to be part of it, in other people’s eyes, must make you extra good at what you do. It makes your elite in your field. Whether it’s true or not, that’s the perception. Good PR can help establish you as an expert in your field which influences how people respond to your business. You can establish your expertise by reaching out to local journalists to talk about ongoing trends in your community or nationwide trends at a local level. Communities like to hear from local experts. Good PR is one of the fastest and easiest ways to reach new audiences. It’s a great opportunity to reach new potential donors, program recipients, clients, or whoever you’re looking for. That’s because people are more open to hearing about you and your cause when it’s coming from someone they trust (in this case, a media source they trust). Part of marketing that is really difficult is finding the perfect timing. It’s hard to get someone’s attention right at the exact moment they’re ready and willing to invest. With good PR, you can start that positive relationship and introduce yourself to these new audiences early. Even smaller media organizations, like the local paper, have thousands of subscribers. Being featured by one of these media sites doesn’t guarantee you thousands of new followers, but it does give you an opportunity to introduce yourself and your work or cause, to people who might be really excited to hear about what you’re doing. In this digital age, increased exposure through good PR can also improve your SEO (search engine optimization, aka, how easy it is for people to find you online). So Do-Gooders, if you aren’t already focused on creating good PR, you should be! I didn’t mention this but PR is also fun. It’s super gratifying to see a cause you love, whether that’s your small business or your nonprofit, on TV. It feels good to have friends shoot you a text that they saw your work on the front page of the local paper. Plus, good PR gives your supporters an easy way to share your cause with others on social media because most media sites will make easy to share stories and clips online for you. Next week we’ll take a peek into how to get your PR game started. Have a great week, Do-Gooders!